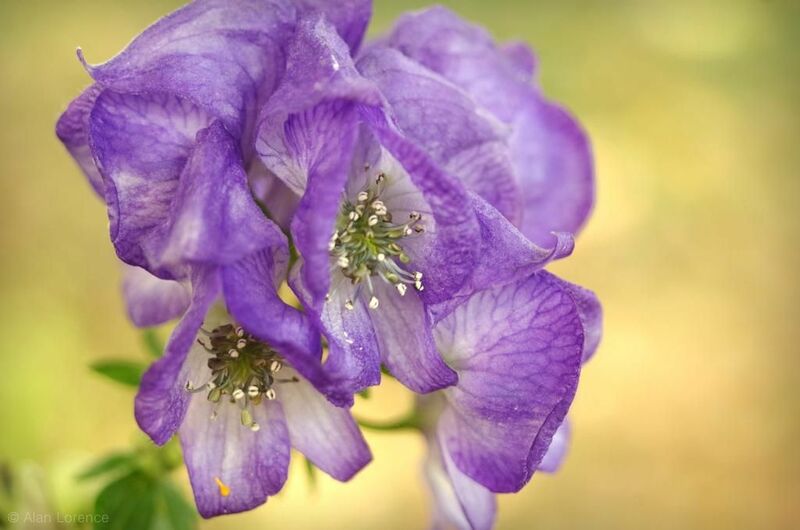 In my garden the last plant to bloom has one of the prettiest flowers: Aconitum or "monkshood". I've only been growing this for a few years, and it's in a tough dry spot under the sugar maple, but it blooms reliably. 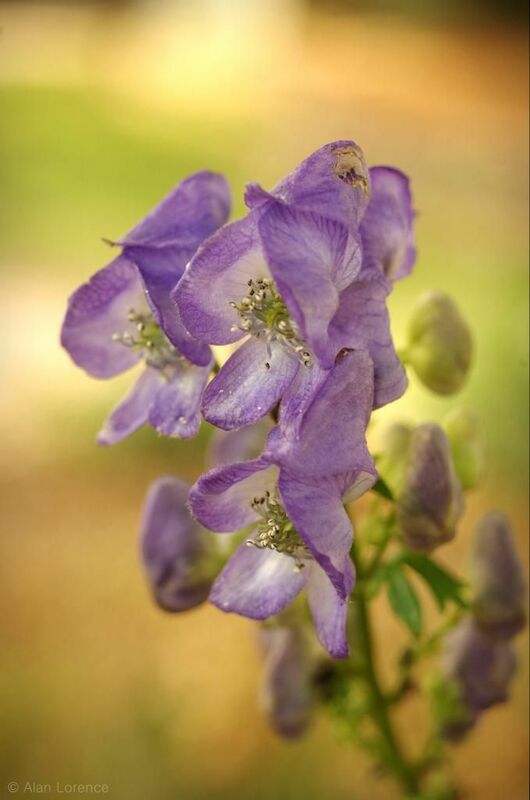 This is Aconitum carmichaelii 'Arendsii', or at least that's what the plant tag said. I don't think cultivar names are supposed to contain latin, so this could be wrong. This seems to be blooming later this year than in past years -- maybe it knows we're in for another mild winter? 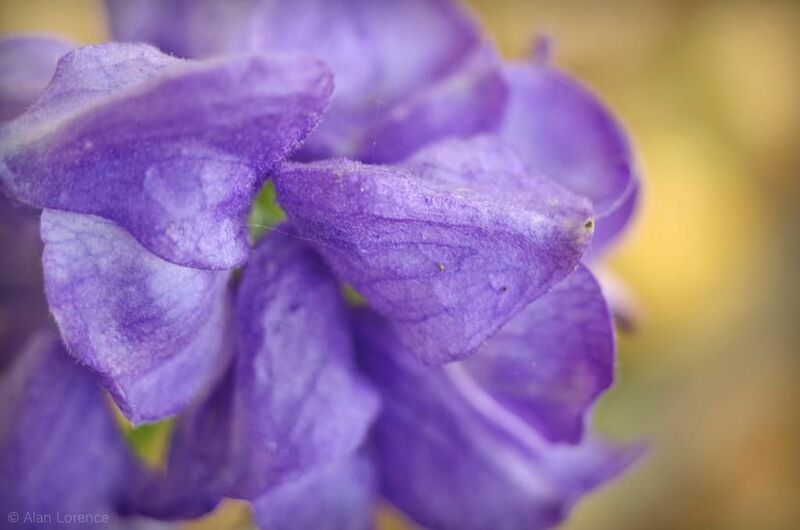 The beauty of these poisonous blooms are so right though -- I love them! They look especially good in the warm light of autumn, with so much brown in the background. It's so easy to get nice backlighting at this time of year! Beautiful! Most of ours bloom in summer. 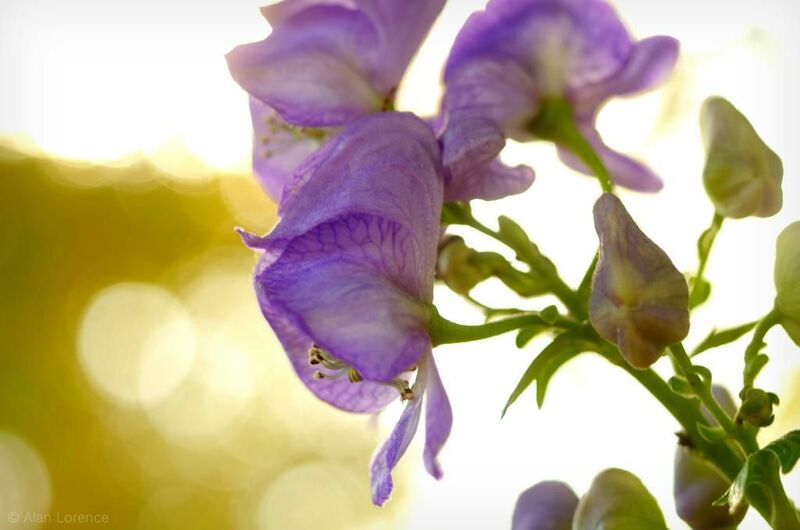 Autumn blooming Monkshood, fifteen foot castor beans...What kind of wizardry is going on in your garden? 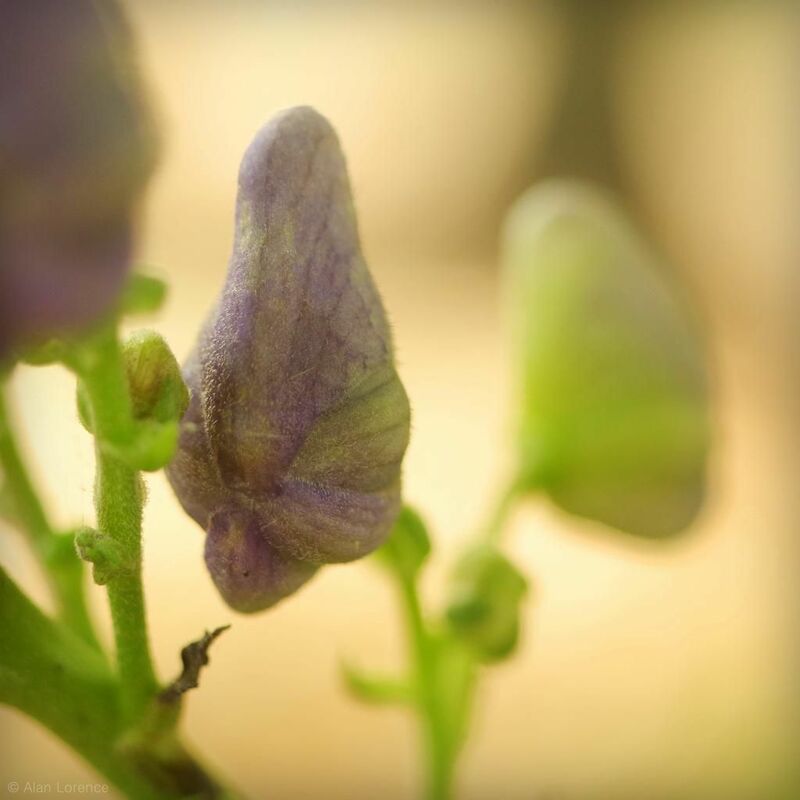 First castor beans, now monkshood. Are you specializing in poisonous plants now :-)?